A young mother was devastated when she came to know that her toddler son had been brutally abused by his babysitter’s boyfriend. The only option she had was to prepare to bury her son and consider the painful decision of donating her little angel’s organs. On one fateful day of 2013, baby Lukas Clark was rushed to a hospital for an emergency rescue, but the doctors informed that his condition was beyond any medical help. His shattered mom, Heather Clark, then picked herself up with all her courage and made the bold decision to donate her 7-month-old baby’s organs, which have now saved three lives. Baby Lukas passed away almost six years ago, but his presence is still felt in Jordan Drake’s life—the little girl who got her heart in a transplant. 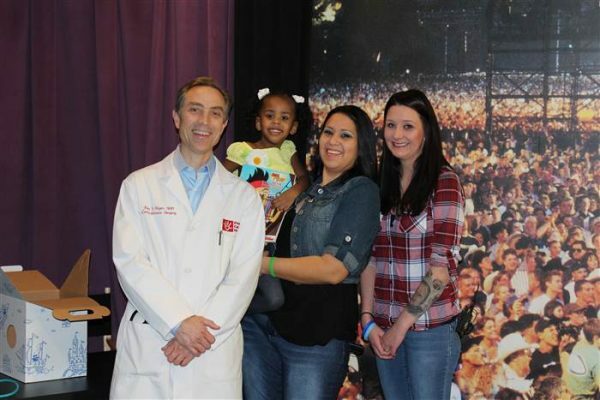 In January 2016, his mom met 4-year-old Jordan and her family at Phoenix Children’s Hospital in Phoenix, Arizona, where she heard her dead son’s heart beating in this little energetic girl’s body. 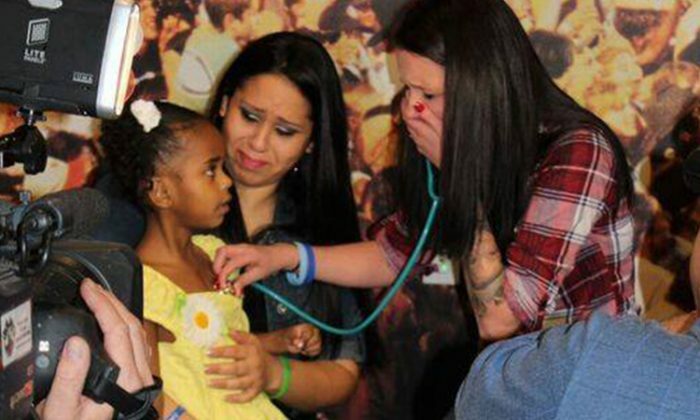 Clark lifted a stethoscope to Jordan’s chest to hear her son’s heartbeat for the first time after his death. At that moment, both mothers cried. Happy Mother's Day to Heather, even though I don't personally know her, I ADMIRE HER AS A WOMAN, BUT MOSTLY AS A MOTHER. At birth, little Jordan was diagnosed with a congenital heart disease. The doctors at Phoenix Children’s Hospital told her mother, Esther Gonzalez, that Jordan needed an immediate surgery. As if it was all predestined, Jordan received the precious little heart from Lukas when she was just 18 months old and was undergoing treatment in the same hospital where Lukas was hospitalized for an emergency rescue. Clark wanted to connect with the patient who received her son’s heart. After the successful transplant operation in 2013, Gonzalez left a message to Clark on Facebook, but unfortunately it remained buried in her Facebook inbox folder, unnoticed for more than two years. Happy 2nd birthday Jordan! Keep enjoying every new day!! Thank you Build a Bear for Jordan's surprise of an Elsa, Anna, and Olaf! They are already well loved! It was only after two years that Clark discovered the important Facebook message from Jordan’s mom. Eventually, the two families soon connected and finally decided a time to meet at Phoenix Children’s Hospital. Clark traveled 5.5 hours from California to Arizona for this big day. But it turned out to be like meeting a family member. At the moment she and Jordan met, they ran toward each other and hugged. “That’s your baby,” Gonzalez whispered, when Clark was tearfully listening to her dead son’s strongly beating heart inside Jordan’s chest. The little girl brought a special teddy bear for Clark, which had a recording of Lukas’s heart beating inside her chest. When she played it, Clark simply couldn’t hold her tears.